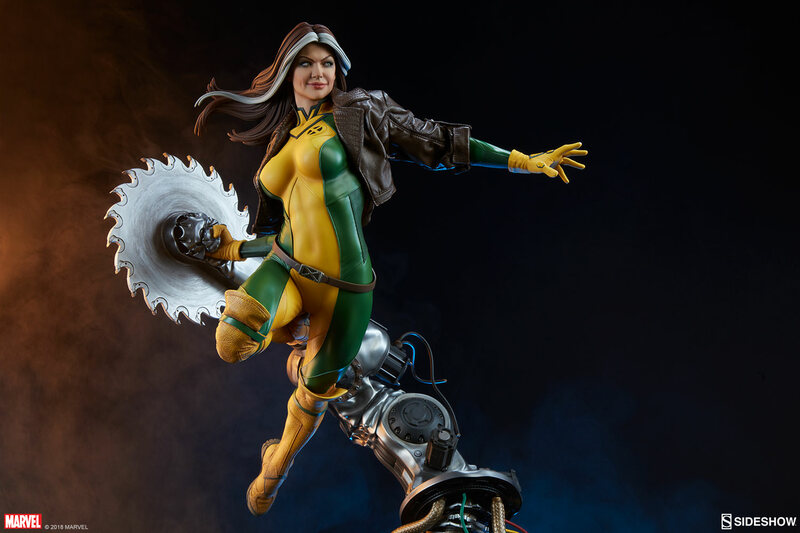 Sideshow is proud to present the Rogue Maquette, adding some sweet Southern charm to the X-Men Collection. Measuring just over 22” tall, the Rogue Maquette defies gravity in this dynamic and exciting composition that features the mutant’s marvelous powers on display. 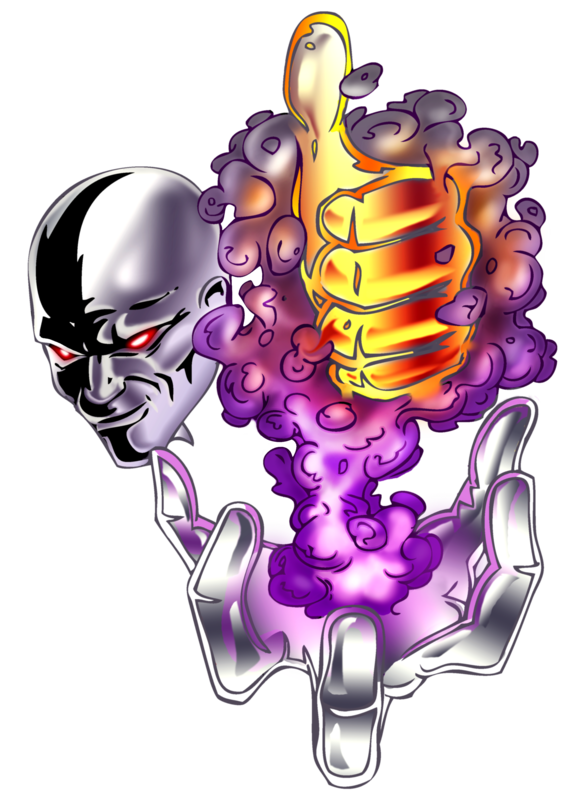 Flying over a detailed Danger Room environment base, Rogue wrenches an intricate mechanical buzz saw from the floor, ready to take a swing at any unwelcome X-Mansion guests. 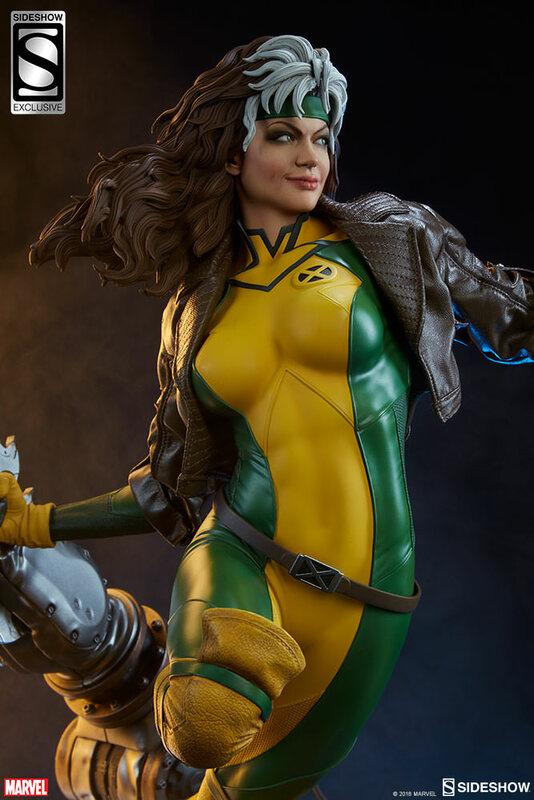 The polystone Rogue Maquette features a sculpted green and yellow costume, detailed with a variety of fabric-like textures to give added dimension to her iconic uniform. Rogue also wears a custom tailored faux-leather brown jacket featuring a red “X” logo on the shoulder to complete her signature Southern style. 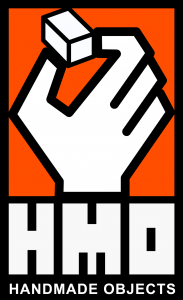 She has a modern portrait with a mischievous smirk and long brown hair accented with her trademark white streaks. 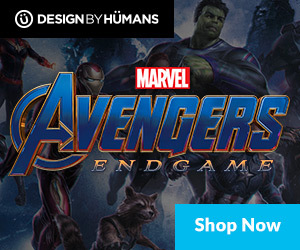 Pair Rogue with her fellow X-Men, including Wolverine, Magneto, or even her adoptive mother Mystique to make the ultimate lineup of mutant Marvel collectibles. The Exclusive Edition of the Rogue Maquette includes a swap-out portrait featuring Anna Marie’s classic hairdo. Bigger is always better, especially when it comes to her famous wild hairstyle complete with a green headband and white streaks. 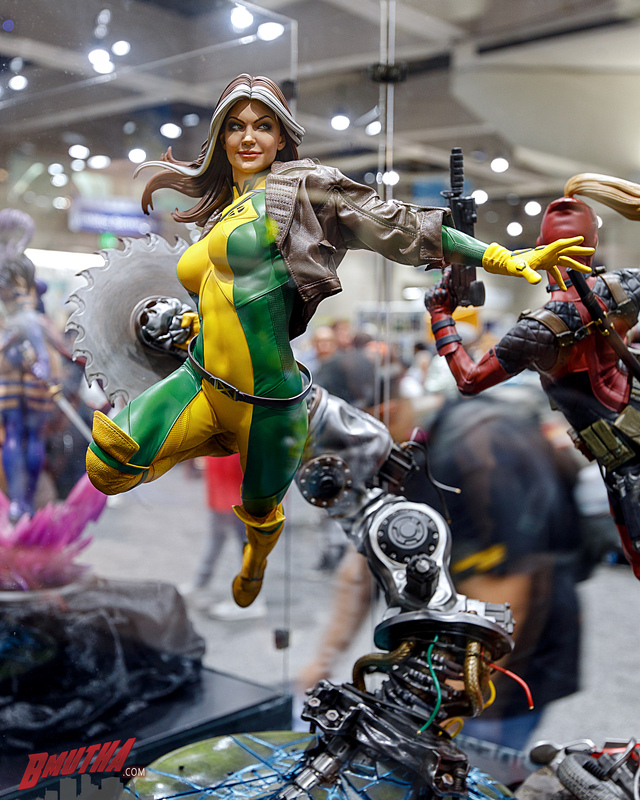 Add some sugah to your shelf and absorb the Rogue Maquette into your Marvel collection today! 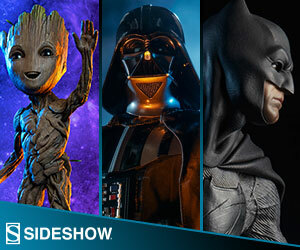 Posted in News, Sideshow Collectibles and tagged Marvel, pre-order, rogue, Sideshow, X-Men.